'Letter from Afar', corrections from up close: Censorship or retrofit? still in Switzerland, and the Bolsheviks in Russia. June 26, 2017 — Links International Journal of Socialist Renewal reposted from John Riddell's Marxist Essays and Commentary website — The standard “rearming the party” interpretation of Bolshevism in 1917 is a gripping and highly dramatic narrative that goes something like this: Old Bolshevism is rendered irrelevant by the February revolution, the Russian Bolsheviks flounder until Lenin returns home and rearms the party, and the party is subsequently divided over fundamental issues throughout the year. Party unity is restored—to the extent that it was restored—after the other leading Bolsheviks cave in to Lenin’s superior force of will. Only by these means was the party rearmed by a new strategy that proclaimed the socialist nature of the revolution—an essential condition for Bolshevik victory in October. “Down with the Minister Capitalists”. March 24, 2017 — Links International Journal of Socialist Renewal reposted from John Riddell's Marxist Essays and Commentary website — “All power to the Soviets!” is surely one of the most famous slogans in revolutionary history. It is right up there with “Egalité, liberté, fraternité” as a symbol of an entire revolutionary epoch. In this essay and others to follow later in the spring, I would like to examine the origin of this slogan in its original context of Russia in 1917. February 25, 2017 — Links International Journal of Socialist Renewal reposted from John Riddell's Marxist Essays and Commentary website — The following essay was written in 2011 for circulation among colleagues. I have decided to publish it unchanged in 2017 for two main reasons. First and foremost, the essay explains and documents the views of Lenin, the Russian Bolshevik Alexander Bogdanov, and Karl Kautsky on a crucial issue: the proper relations between workers and intellectuals within Social Democracy. It therefore serves as an extension of my earlier attack on the “textbook interpretation” of Lenin’s views. Click HERE for more by or about Lars Lih. 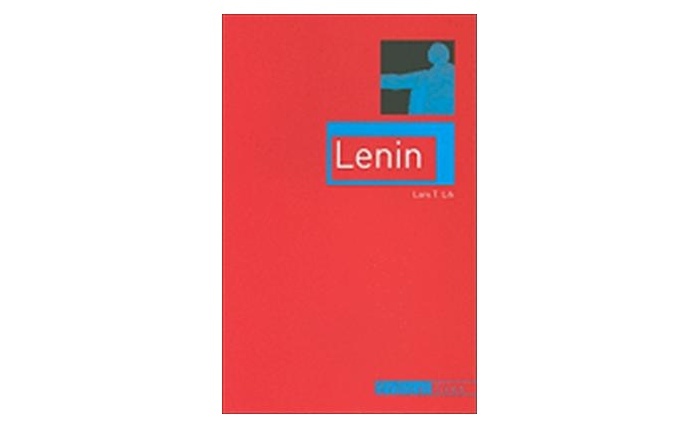 For more discussion on Lenin, click HERE. June 1, 2015 --Johnriddell.wordpress.com, posted at Links International Journal of Socialist Renewal with permission -- Lars T. Lih challenges a commonly held view of the Russian Bolshevik party's conduct during the Russian Revolution of 1917, stressing the continuity between the Bolsheviks’ positions before World War I and those advanced during the revolutionary upheaval. The text is based on a talk Lih gave in 2010 and recently revised. Following the text is a note on other places where Lih’s views on this topic are available – John Riddell. April 22, 2015 -- Johnriddell.wordpress.com, posted at Links International Journal of Socialist Renewal with permission -- Did the Bolsheviks, as has often been argued, set aside their pre-1914 strategy in April 1917 on Lenin’s insistence? 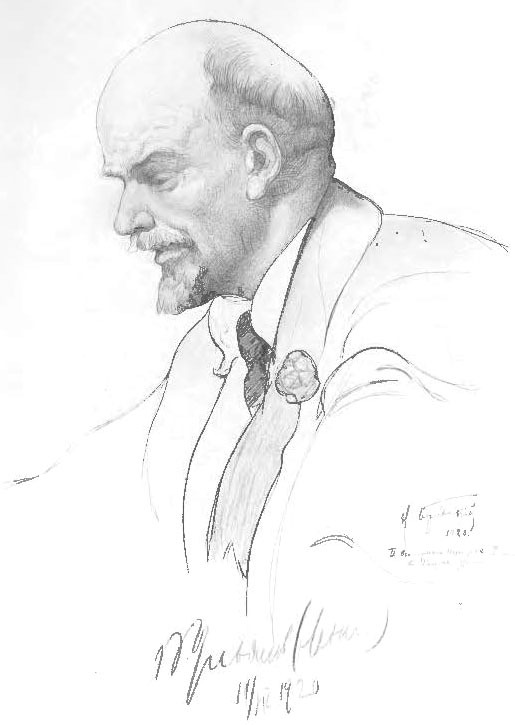 Recent studies by Lars Lih criticise this thesis, maintaining that the actual course followed by the Bolsheviks in 1917 was close to that of pre-war “Old Bolshevism”. In the following article, Lih tests his conclusion by examining the editorial course of the Bolsheviks’ main newspaper, Pravda, soon after the February revolution and before Lenin’s return to Russia. Lih’s text is followed by both a translation and the original Russian text of a March 1917 Pravda editorial by Lev Kamenev, and by a note on further reading. January 19, 2015 – Links International Journal of Socialist Renewal -- Too often, when the name of Lenin is brought up in this day and age, it conjures up certain uncomfortable images in the popular and academic mind. 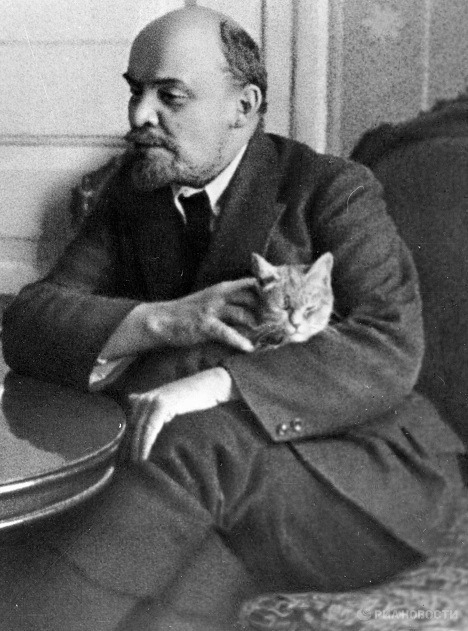 Lenin is seen as the founder of the Bolshevik Party, who was hell-bent on establishing a totalitarian state. 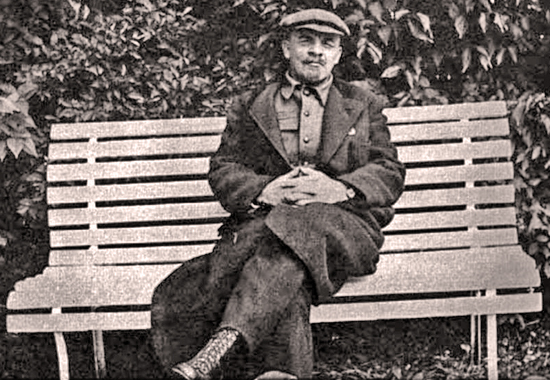 It is time that this image of Lenin be discarded. Lenin should be embraced by revolutionaries the world over desiring to build a society free of exploitation. 14/12/14 -- Sinpermiso.info -- En primer lugar, permítanme decir que es muy elogioso tener dos críticas - una sustancial, la otra no - a mis puntos de vista sobre Lenin publicados recientemente. La primera es de Kevin Corr y Gareth Jenkins, del SWP) y la segunda está escrita por Peter Taaffe del Socialist Party in England and Wales. En mi opinión, la crítica de Taaffe no tiene que ver con mis puntos de vista y no le interesa realmente lo que defiendo. Peter Taaffe simplemente afirma que escribo frases pretenciosas, románticas y después expone sus propios puntos de vista. No es una polémica seria digna de una respuesta. Por su parte, sin embargo, Corr y Jenkins en su artículo, "El caso de la desaparición de Lenin”, pretenden refutar mis puntos de vista reales y en su mayor parte su crítica hace un buen trabajo a la hora de resumir cuales son..
December 4, 2014 -- Weekly Worker, posted at Links International Journal of Socialist Renewal -- According to some comrades in the Socialist Workers Party (UK), Lenin was a hypocrite who did not say what he thought. In this article, based on a speech to a London Communist Forum, Lars T. Lih puts the record straight. For more by or about Lars Lih, please click HERE. August 18, 2014 -- Johnriddell.wordpress.com, posted at Links International Journal of Socialist Renewal with permission -- “All power to the Soviets!” is surely one of the most famous slogans in revolutionary history. It is right up there with “Egalité, liberté, fraternité” as a symbol of an entire revolutionary epoch. I would like to examine this slogan in its original context of Russia in 1917, in order to see why it arose, where it came from, and to what extent it was carried out in practice. Lars Lih has explored the political and theoretical relationships between Lenin and Karl Kautsky. October 2, 2013 -- The North Star, submitted to Links International Journal of Socialist Renewal by Dario Cankovic -- Lars T. Lih lives and works in Montreal, Quebec. He is an adjunct professor of musicology at the Schulich School of Music, McGill University and writes about Russian and socialist history on his own time. His books include Bread and Authority in Russia, 1914-1921 (1990), Lenin Rediscovered: What Is to Be Done in Context (2006) and Lenin (2011), a biography. Links to his articles online can be found here. The following was presented by Paul Le Blanc to the "Organising for 21st century socialism" seminar in Sydney on June 8, 2013. The seminar was organised by the Socialist Alliance. Le Blanc also addressed meetings in Wollongong, Melbourne and Adelaide. Photo by Alex Bainbridge. A video of the presentation can be viewed at http://links.org.au/node/3396. In the first portion of these remarks I want to explain, first of all, why Leninism is worth talking about not only for understanding some of what happened in history, but also for helping change the world in the here-and-now of the early twenty-first century. I want to explain what I mean by the term Leninism, then touch on several historical controversies that may shed light on how to make use of this tradition in our ongoing political work. In the second portion of my remarks, I will offer thoughts on ways to apply and contribute to the Leninist tradition in our practical efforts for the coming period. For more by (or about) Lars Lih, click HERE. For more discussion on forms of revolutionary organisation, click HERE. April 14, 2013 -- Johnriddell.wordpress.com -- Vladimir Nevsky (1876-1937) lived the life (in the words of an autobiographical sketch written in the 1920s) of an “ordinary party worker”, a professional, in the Bolshevik underground. Joining the party in 1897, he was a mid-level Bolshevik praktik who played a visible role in 1917 conducting party work in the army. Like so many others in his generation, he was arrested in the mid-thirties and executed in 1937. November 24, 2012 -- Links International Journal of Socialist Renewal -- This talk by Lars Lih was presented to the Historical Materialism ninth annual conference, held in London on November 8-11, 2012. Further papers and videos will be posted at www.historicalmaterialism.org. For more articles by or about Lars Lih, click HERE. For more on Lenin, click HERE. Lenin "favoured an organisation that functioned like a democratic, cohesive, activist collectivity". September 1, 2012 – Links International Journal of Socialist Renewal -- The deepening of global crises, the intensification of popular protest and insurgency, and the spread of revolutionary possibilities have been generating renewed interest in Marxism and, along with that, a renewal of Marxism. A key figure in the Marxist tradition – and in the renewal – is the person who was central in the first revolution to be led by revolutionary Marxists: Vladimir Ilyich Lenin. June 22, 2012 -- Johnriddell.wordpress.com/Weekly Worker, posted at Links International Journal of Socialist Renewal with the author's permission -- The Thrilla in Halle! A ringside seat, just for you, as Gregory Zinoviev (in the red trunks) and Julius Martov (his are pale pink) duke it out before delegates of the 700,000-member Independent Social-Democratic Party of Germany (USPD). 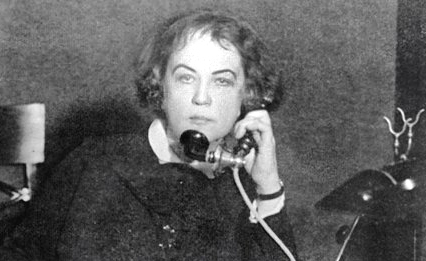 The stakes: should the USPD join the Communist International (Comintern)? Here at last, after 92 years, the full text of their historic speeches to the October 1920 USPD congress in Halle, Germany, translated and edited by Ben Lewis and Lars Lih. June 7, 2012 -- Weekly Worker -- Lenin’s pamphlet "Leftwing" communism -- his last work of more-than-article size -- was written in spring 1920 in order to be distributed to the delegates of the 2nd Congress of the Communist International, or Comintern. The message that Lenin intended to send cannot be understood apart from the particular circumstances of this event. Comintern was founded in spring 1919, a time of great enthusiasm and hope about the possibility of soviet-style revolutions sweeping across Europe. Exuberantly confident predictions were made by Lenin and Grigorii Zinoviev that the 2nd Congress of the new international would be a gathering not just of parties, but of new soviet republics. Accordingly, little attention was given to the party as such. As Trotsky put it later, the hope was that “a chaotic, spontaneous [elemental or stikhiinyi] assault” would mount in “ever-rising waves, that in this process the awareness of the leading layers of the working class would become clarified, and that in this way the proletariat would attain state power in the course of one or two years”.